Oliver walked up to the orphanage manager and held out his bowl. May I get some more he asked?“More” the orphanage manager bellowed, “I’ll give you more”. He picked up the soup ladle with which he was serving soup and hit Oliver hard below his ear. Oliver was down with several days of fever. He never made the request again. All of us have read this story. All of us know about it. And all of us are living Oliver Twist’s story. 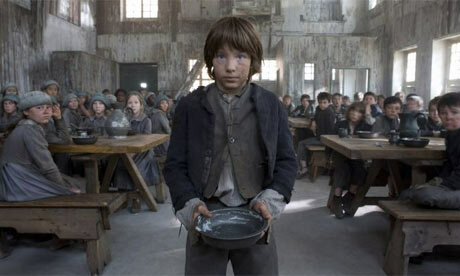 I know it sounds incredulous to believe that we are living Oliver Twist’s life today. How could we, after all we have food on our table, a house to live in and a fair amount of possessions. We have the luxury of a few vacations a year and allowing ourselves an occasional indulgence that our preceding generation would have thought aspirational. This is a lesser life than what we are meant to live. There is more to life than just eating three meals a day, buying a house and a car. That more has to be demanded. Our past conditioning prevents us from demanding more. The conditioning of our society is such that it makes us believe that we are living a full life. Of course we are. We are living a full life as compared to what the previous generation lived. But are we living OUR full life. There is more to life than just an existence and passing the baton of our succession to the next generation. The more comes when we choose to demand more from life itself. It is only when we demand more that we get more. A baby needs to cry to get milk, a lover needs to propose to be loved. A seeker of more needs to seek more before he gets more. We do not seek more from life. This is because of our limiting past beliefs. What are some of these limiting beliefs “I am happy”, “We should be happy with what we have”, “I do not deserve it”, “This is all that there is”, “It always happens to me” and the list goes on. Past belief barriers are like a poison inside us. They prevent the seed of new from sprouting within us. Past beliefs limit us by vitiating the environment within us. Even when we do try something new, these beliefs emerge from the hidden pockets of our minds to pull us right back to the swamp we are trying to escape ourselves from. We do not understand this battle within us. Oblivious to the going on within us, we continue to struggle within us, rising and failing at equal intervals. This is where a life coach can help. A life coach helps a person step out of the past conditioning. Through several techniques like regression, NLP, healing and others a coach helps a person be able to break his past limiting beliefs. It is not an easy journey of breaking your past beliefs but it is required if a person wants to move forward. Once broken, this poison of past beliefs seeps out of us. The space created allows new to enter. The seed of new now takes root in the new fertile land. Before we know we are on our way to creating a new life. Make no mistake, a coach is no silver bullet. It is an individual’s journey. The demons need to be paced and the hardship endured before the results are seen. A coach ensures that you are well supplied. A coach makes sure you are well trained for the walk and that you remain persistent in your pursuit. In your journey of demanding more, a coach is your silent ally. So what are you waiting for, permit yourself a coach. Log on to twelveweek.com.